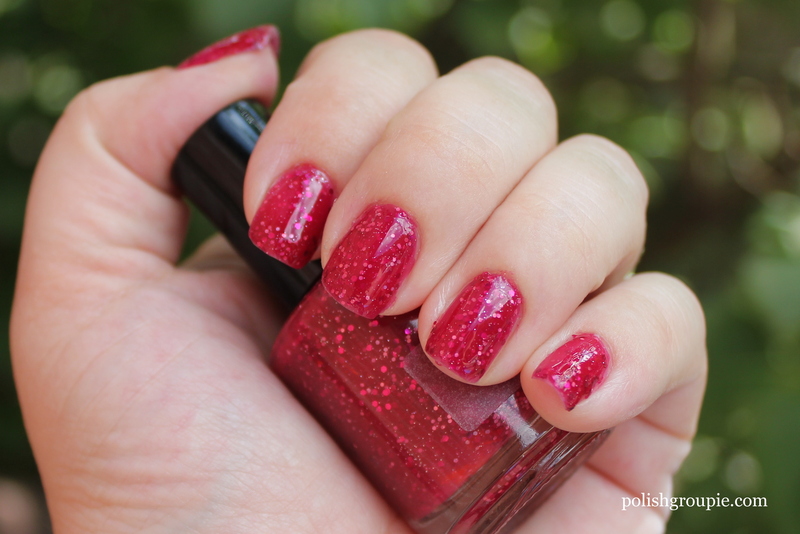 In honor of today’s launch of the Aphrodite Lacquers Friday Night Glitter Bombs collection, here’s a look at one of Rebecca’s older polishes, RumRunner. Aphrodite Lacquers RumRunner was actually the second-ever addition to my ever-growing collection of indie nail polishes, but for some reason I hadn’t swatched it yet. RumRunner is part of Aphrodite’s The SandBar Collection, which celebrates summer-y cocktails. Genius! 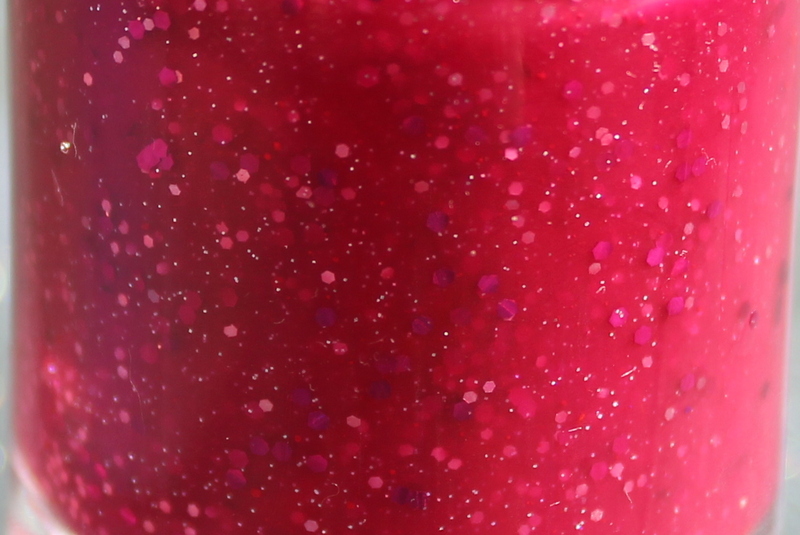 The polish is a berry-colored jelly with dark pink and silver glitter. 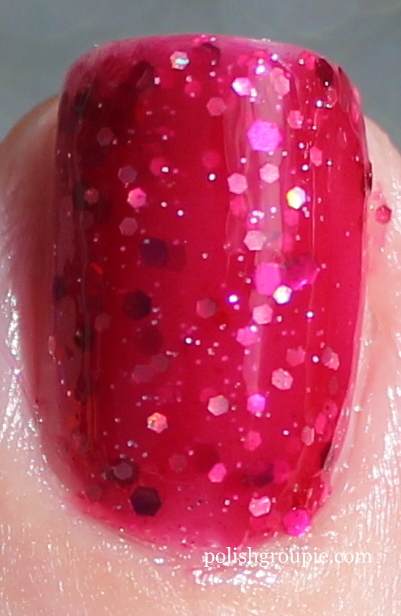 RumRunner was a dream polish for me. It went on smooth with great application; the formula was perfect for me and it was easily removed, no staining. 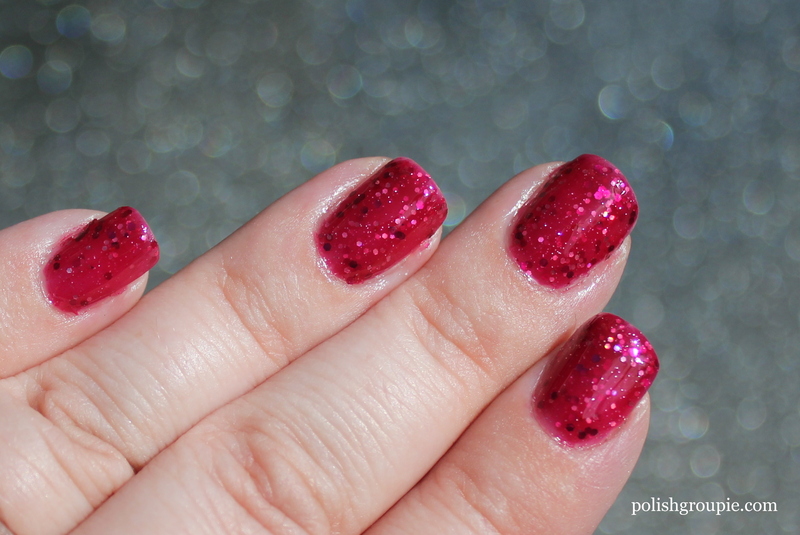 Plus not too many stray glitters left stranded on my skin, which is often a problem with glitter polish after removal. This is a base coat of Gelous, two coats of RumRunner, another coat of Gelous and a coat of Poshe. 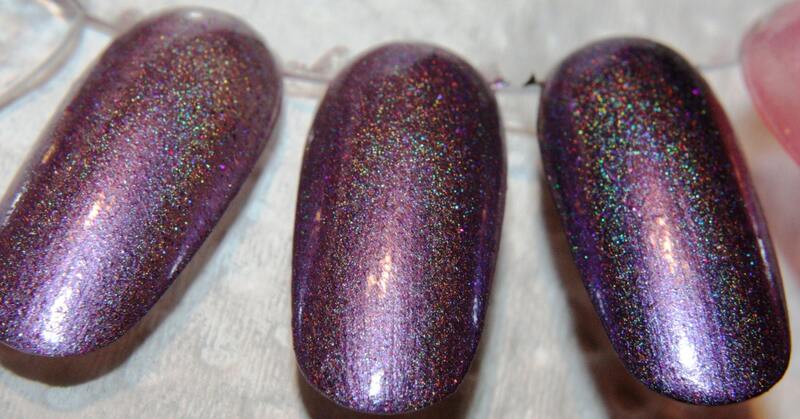 RumRunner is currently available via the Aphrodite Lacquers shop on Etsy, along with the new Friday Night Glitter Bombs. 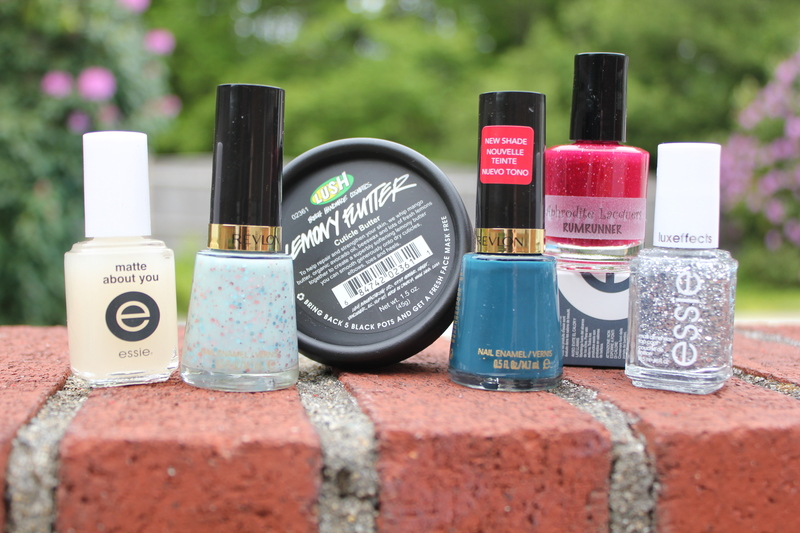 And check out my weekly Restock Radar blog post for more indie polish launches coming this week.